CleverTap, one of AppsFlyer's integrated partners, integrates app analytics and mobile engagement. Engage and retain users through personalized Push, In-App, Email and Web messaging. Some media sources restrict sharing data with 3rd parties. AppsFlyer cannot share user level data of users acquired through these media sources with 3rd party platfors or services. All installs from such media sources are therefore sent as organic. Enter "CleverTap" in the search field and click on its logo to open the CleverTap configuration window. The CleverTap configuration window includes 4 tabs: Integration, Tracking link, Data enrichment and Permissions. Click on the items below to read about the tabs setup. CleverTap connects with AppsFlyer via a unique Account Token, Region, Account Passcode and Account ID. If you don't already have them, you must obtain them from CleverTap to continue with the integration or follow the steps below. You can click the ‘eye’ icons next to each field to reveal these values. The Region depends on the CleverTap dashboard URL for your account. 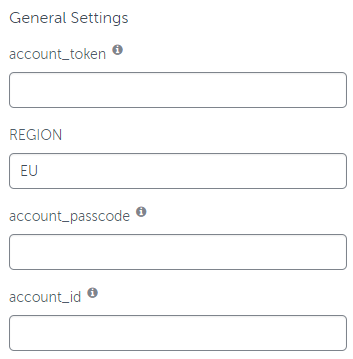 If your account URL is https://eu1.dashboard.clevertap.com, the region is EU, meaning that the account data is hosted in an EU-based data center. If your account URL is https://in.dashboard.clevertap.com, the region is IN, meaning that the account data is hosted in an IN-based data center. The CleverTap Account ID and Account token are required to integrate your app with CleverTap as per the developer documentation. AppsFlyer can send automatic postbacks to CleverTap user installs. Use this section to define sending these postbacks. 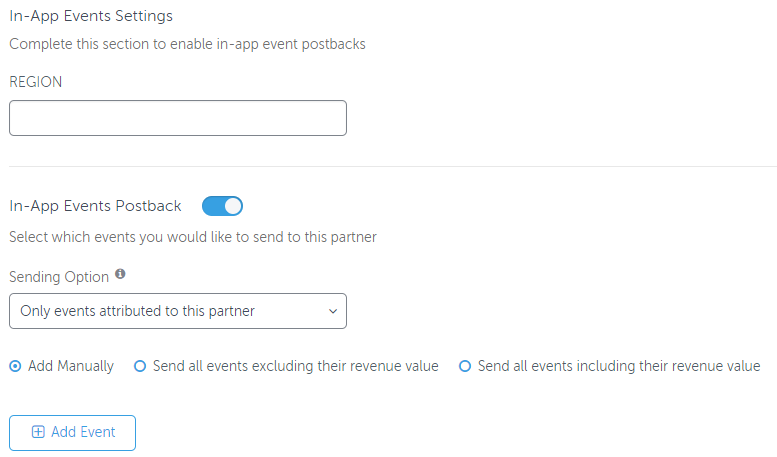 Select Events attributed to any partner or organic to send postbacks for any user that downloads the app to CleverTap. Tracking Links are not available for CleverTap. Cost data is not available for CleverTap. Ad Revenue data is not available for CleverTap. Permissions are not available for CleverTap.